Bhajji has made a couple of surprising selections in his squad. The 12th edition of the 2019 World Cup is going to take place in England and Wales from 30th May to 14th July. Unlike the previous events, each team will play with every other team once and the top four teams will qualify for the semi-finals this time around, which is called the round-robin format. World Cup 2019 will feature ten teams (a decrease from previous WC) playing forty-eight matches among them. The first match will be played between the hosts England and South Africa at Kennington Oval, London. The tournament will culminate with the fifth final at the iconic Lord’s Cricket Ground on July 14. As the mega tournament is approaching near, the cricket pundits and former players are busy predicting about the players who are going to make it into the squad of 15 members. 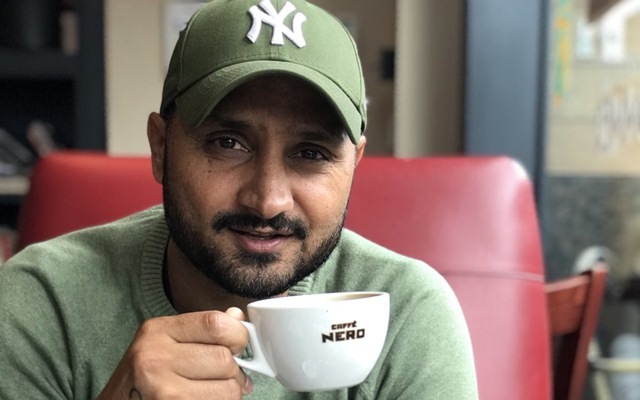 Meanwhile, the veteran Indian off-spinner Harbhajan Singh has revealed his version of India’s World Cup 2019 squad. Speaking for Sports Tak, the 38-year-old didn’t make many changes to the current line-up. However, surprisingly, he left out Rishabh Pant from the squad. The young left-handed wicket-keeper batsman was not part of the 50-over series which Men in Blue won in both Australia and New Zealand. However, chief selector MSK Prasad made it clear that Pant is in contention for a World Cup spot. Also, the off-spinner included Umesh Yadav and Vijay Shankar in his team while keeping Ravindra Jadeja as a possibility for the showpiece event. The Jalandhar born, who was part of Indian World Cup winning squad, also picked pacer Mohammad Shami in the squad after his impressive show with the white ball in the series Down Under. Rest of the team was very much on the expected side which featured the usual names. Harbhajan’s 15-man squad for the 2019 ICC World Cup: Rohit Sharma, Shikhar Dhawan, Virat Kohli (c), Ambati Rayudu, MS Dhoni (wk), Kedar Jadhav, Hardik Pandya, Kuldeep Yadav, Jasprit Bumrah, Yuzvendra Chahal, Bhuvneshwar Kumar, Mohammed Shami, Dinesh Karthik, Umesh Yadav and Vijay Shankar.